Roj Ashtad Mah Ardibehest, 1380 Yz. Today, 13th October 2010 marks the 37th death anniversary of Seth Jehangirji S. Chiniwalla, the lion of Ilm-e-Khshnoom. A few words in his memory would be apt to let readers of Frashogard know who Jehangirji really was. Here is a photograph of Jehangirji. The 19th century brought with it great challenges to our religion. Hundreds of years of carefully preserved traditions, culture and practices were sought to be washed away in the sweep of so-called modern science and the age of rationality. In this threatening situation, the Abed Sahebs of Demavand sent forth Ustad Saheb to explain to Parsis the real gist of what our religion really stood for. Ustad Saheb emerged in around 1908 and started the Ilm-e-Khshnoom movement and struck a match which lighted a bonfire in our community. The Abed Sahebs of Demavand had however warned Ustad Saheb that due to the obligations to other persons from past lives, his life as the establishing authority of Khshnoom would be short but effective. In order to ensure that the movement remained alive and gained strength after his passing away, Ustad Saheb was guided by the Abed Sahebs to train a pair of brothers who would take forward the mission of safeguarding the traditional nature of our faith. This great responsibility was entrusted to Dr. Saheb Framroze and Seth Jehangirji Sorabji Chiniwalla. While Dr. Saheb was the gentle saint who immersed himself in writing the basic books of Khshnoom, Jehangirji was given the role of the warrior – to lead the fight against those who dared to change the fundamental traditional nature of the Zoroastrian faith. When Ervad Phiroze S. Masani, the senior student of Ustad Saheb and the Editor of the Frashogard magazine passed away in 1942, the magazine also shut down. This lack of a medium from which the real meaning of our religion could be expressed was sorely felt. On the other hand, the existing Parsi newspapers like Jame Jamshed and Mumbai Samachar had adopted a decidedly reformist agenda and used every opportunity to strike at the faith of the vast majority of Parsis who were silent but traditional. It was at this time that Jehangirji Chiniwalla was divinely inspired to start the Parsi Avaz newspaper. Thus on 7th July, 1947 – the 20th death anniversary of Ustad Saheb, Jehangirji began the publication of the Parsi Avaz – a weekly newspaper dedicated to strengthening the traditional fabric of ordinary Parsis and to give battle to those who dared oppose it. And what a battle Jehangirji fought! Dear readers, we are talking of days when newspaper articles were written with pen and paper, given to a typesetter who would arrange individual alphabets made of metal on to a plate, then take a rough print. The proof reader would check to see whether there were any mistakes (there would be lots, since the fonts had to be arranged in reverse order, so that the printout came the right way!). These proofs would be given to the writer, who would add or subtract or correct further. A final proof would be then taken. Thereafter, all the articles had to be physically arranged on a broad sheet plate in the form of a tabloid newspaper. Stories running in to multiple pages had to be checked to see that no words were left out or repeated on the continuing pages, margins checked, advertisements arranged and then the whole thing would go for printing. The newspaper would come out on Friday and be delivered to Parsi homes – ready for the weekend reading. Then the battles would start, readers would write in their comments, which had to be collated and decided as to what could be printed and what had to be left out. This whole cycle had to be done week after week – without any rest, no automatic spell checking, no formatting, no computers – and a staff of three persons! Yet in all this, despite being a very busy advocate of the High Court, Jehangirji found the time to not only write but also edit and bring out 16 sheets every week (later reduced to 12 and then 8 ) – for 27 years! We cannot even begin to imagine the craziness of all this! Oh the battles that were fought! The amount of Khshnoom that was written! Only those who are fortunate today to have copies of this newspaper can understand what I am talking about – more than 17,000 A3 sized pages of newsprint! Thanks to late Vada Dasturji Meherji Rana, I today have the complete set of Parsi Avaz newspapers, every year individually bound, along with the Index made by the late Dasturji which is invaluable in hunting for any topic about our religion. It is my dream project to digitize this resource and put it on the Frashogard website for all to read, study and use. Jehangirji had a very simple motto in life, to which he remained steadfast, whatever the cost: “Dharam no dushman, te maro dushman!” (The enemy of our religion is my enemy.) Whatever may be the pressure, howsoever senior may be his opponent, no matter how illustrious or influential, should any individual dare to speak against the religion, the lay reader could rest assured that next week’s Parsi Avaz had a strong editorial written by Jehangirji denouncing the person. But Jehangirji was not content to criticise (which is what most of us do today) – he would educate – both his opponent and the readers of Parsi Avaz as to WHY he was criticising. Jehangirji also ensured that his criticism was always based on what the individual had stated about the religion, he would not comment on his personal foibles or faults. It is these editorials where Jehangirji displayed his true genius – explaining the most complicated Khshnoom concepts in the simplest of languages. Jehangirji was a master orator. I have never heard anyone speak so powerfully, in such simple and sweet language, Gujarati but with a heavy mix of Persian words. He could whisper, growl, shout and deliver the most forceful effect in his speeches, which were often interspersed with thunderous applause. The Baj functions of Ustad Saheb were occasions when Jehangirji would be in full form, his mind delirious with the memory of his times with Ustad Saheb and his affections towards him. Over 2000 persons would crowd the Otla of Allbless Baug where he would captivate them for over one and a half hours. In the course of his speech, Jehangirji would invariably use the words “mara Ustad Saheb em kehta tha…” (My Ustad Saheb used to say…) and then recount some memorable teaching which the Master had confided in him. In this manner, a lot of oral tradition and teaching was handed down by Jehangirji and then printed in the Parsi Avaz for posterity. The crowd would also go wild when Jehangirji chose the Shah Nameh. Having studied Persian in school and throughout his life, Jehangirji could speak flawlessly and would sing the verses of the Shah Nameh with such devotion that he would often move his audience to tears. The Consul General of Iran in Mumbai would be a regular listener for his Shah Nameh renditions. Jehangirji would first sing the verses in Persian, then translate in Gujarati and then reveal the deeper inner meaning of the verses as explained by Ustad Saheb. Many Iranians would also come for these lectures, just to listen to his Persian singing. 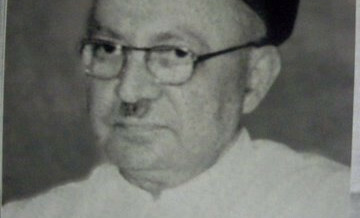 In the course of his long and illustrious life, Jehangirji fought many battles against numerous opponents, all of which have been chronicled in the Parsi Avaz. His very name would strike terror in the heart of reformists and rogue priests. Today we lack someone of his charisma, leadership and excellence in public life. The sorry and sordid happenings in our community would have been dealt very effectively had Jehangirji been alive. As per the word he had given to his Master, Jehangirji spent every breath of his life towards the service of Khshnoom and our religion. Even during his sicknesses and when in hospital, Jehangirji’s mind would be always thinking about the next week’s issue of Parsi Avaz. Many of the unpublished writings of Dr. Saheb Framroze were serialized in the Parsi Avaz and then these proofs used to print the books. Such was the fervour and devotion of this lion of Khshnoom that he finished his very last editorial for the Parsi Avaz at around 10am on 13th October, 1973. At around 10:25 am, Jehangirji had departed to take his place with Ustad Saheb and Dr. Saheb. And the last editorial was on the state of Dungerwadi and the Towers of Silence. Those were the days when Parsis had begun to talk about the lack of vultures at Dungerwadi (yes, even in 1973!). Some foolish people had entered the precincts of the Dakhma and tried to arouse emotions amongst Parsis alleging that bodies were not being eaten and were lying around. But even in his passing, Jehangirji had one last knockout punch to deliver. As the crowds gathered to pay their last respects at the Bungli, and as Jehangirji’s body was being carried to the Dakhma, the sky turned dark and heads turned up to see the spectacle of scores of vultures who seemed to appear out of nowhere and perched themselves on the wall of the Dakhma. Jehangirji always used to write that it is the good thoughts, words and deeds of the Parsi passing away, along with the Talesam of the Dakhma which attracts vultures. And true to his word, the magnificent birds came forward to perform their duty as the body of the great soldier of our religion was laid in the Pavi of the Dakhma! Dear readers of Frashogard! Such were the leaders of our community in those days! Where have they all gone today? Who is there to guide us and lead us? No one. Pohochi jajo Urvan jahi Dadar Gehan nu dwar che! A son more illustrious than the father, that is the miracle of high lineage! In the annals of Khshnoom, your name shall remain forever! Lakhs of bows and benedictions to your soul, O brother! May your Urvan reach the doors of Dadar Gehan – the House of God! Let us all recite one Ashem Vohu in the memory of late Seth Jehangirji Sorabji Chiniwalla and pray that his Ruvan progress from whatever station it is and guide and protect our troubled community. May it be fulfilled, the sooner the better,so that lots of us can benefit from reading the same. Religious reading in this day and age is a must. Thank you and Tandarosti. Most touching! Leaves me with tears in my eyes. We desperately need Jehangirji Chiniwalla to guide us today. Very poignant indeed! Couldn’t help but have tears in my eyes. May his Ravaan continue to guide our community on the correct path. Superb article, very touching, A true Lion of Zoroastrianism. Great article by Ervad Hathiram. ERVAD SAHEB PLZ ALSO INCLUDE ARTICLES APROPOS DASTURJI KOOKADARU WHOM I STRONGLY CONSIDER AS “A LIVING MIRACLE” !!!!!!!! * During one of my 8 Atashbehrams’ Trips, I had stayed overnite in Hotel MEK in Room # 5 ….. from where the Pundole Aadaraan was clearly visible. I know that laity like me are not permitted to visit the Atashbehram or pray during the Ushahin Geh …. but I had requested one Dasturji at the Iranshah if I could visit the Atashbehram during the Ushahin Geh. I seemed to be the only guest at MEK that nite. I had my dinner and then relaxed … listening to music on my walkie …. Around 11 pm I took a bath, got dressed and made my way to the Iranshah Firetemple … just in time for the Ushahin Geh to commence at midnite. It was very dark within the Iranshah Firetemple but I felt secure … totally unafraid …. Witnessing the Boi ceremony at midnite was a totally different experience … especially in the absence of electricity …. unlike other Atashbehrams and Agiaries which depend on electricity …. To be totally honest, I WAS SCARED …. being the only guest in the hotel …. and Fali or whatever the manager’s name was … who was a scaredy-boo … thin, fair, frail, wearing huge glasses and always grumbling about something or the other ….. was on duty …. I did not have the guts to open the door …. I managed to calm down and just listen … the prayer recital continued for about fifteen minutes and towards the close of fifteen minutes, the voices gradually started fading and then NOTHING AT ALL … LISTENING TO THIS PRAYER FELT GOOD BUT I STILL FELT SCARED TO OPEN THE DOOR AND INVESTIGATE …. I UNDRESSED AND GOT READY FOR BED BUT I CONTINUED THINKING OF THE MUSICAL, SWEET VOICES INTONING THE AIRYAMAN PRAYER … AND I MUST HAVE FALLED ASLEEP A LITTLE BEFORE DAWN … I HAD TO HURRY UP AND GET DRESSED … AND PREPARE TO CONTINUE ON MY WAY TO NAVSARI AND THEN SURAT. WHEN FALI CAME TO ask me what I would prefer to have for breakfast, I casually narrated the previous night’s incident to him …. HIS EYES became as large as saucers and I thought he was about to faint …..
he started stuttering and I just left him looking scared and confused ….. I cannot forget this experience …..